I don’t expect a lot of people to read Disaffected Musings today since this is the day of the national semi-finals of the NCAA basketball tournament. Except for a minute or two of the Maryland-Belmont first-round game I have not watched the tournament. Some people I used to know would have told me I’m lying about that. Why would I lie about my basketball viewing habits? Why can’t my interests change over time? I firmly believe that you should stay away from people who erode your quality of life. People who accuse you of lying about a trivial matter and who can’t understand that life always changes fit into that category for me. 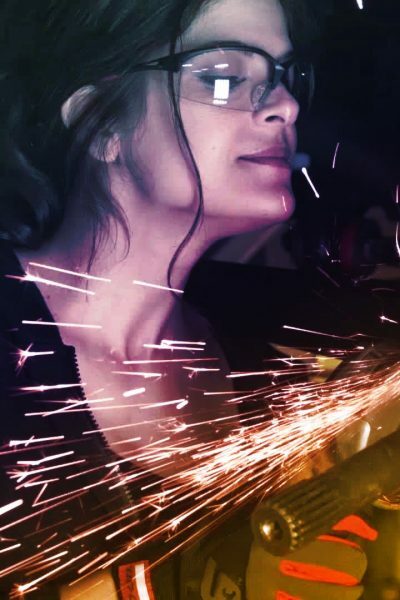 From her website a picture of Rachel De Barros, now formerly of All Girls Garage on Motor Trend. I was virtually certain she was leaving the show because in a brief shot in a commercial for the Season 8 premiere (today at 11:30 AM Eastern) someone else was in the back seat of the car. I have been searching for the news on the Internet since then, but the news was only made “official” yesterday. Best of luck, Rachel, and be well. This Jalopnik article asks and answers the question if it’s a bad sign that a used car has been sold at an auction. The answer is, basically, if it’s just once then that’s not a red flag, but multiple auction appearances are a red flag. The article claims, “In fact, the vast majority of used cars move through auctions at least once.” If that’s true, then that’s something I didn’t previously know. This article from Automobile Magazine is called, “Seriously, Just Put Your Damn Phone Away.” It is a funny, yet truthful and scary look at the danger of drivers distracted by their cell phones. I have opined that the drivers side of a car should be turned into a Faraday cage so that drivers phones simply won’t work. Of course that will never happen. It makes too much sense and threatens to reduce motor vehicle sales. Maybe when the number of road deaths due to distracted drivers reaches five figures annually then something will be done. On the other hand, the number of people who are killed every year in this country because someone is driving under the influence of alcohol is in five figures and the legal BAC “limit” is still .08%. IT SHOULD BE ANYTHING OVER ZERO! In Europe the BAC limit is .04% or .05%. Why this country coddles people is beyond me. Oh, stop telling yourself you can drive under the influence. You can’t, either. One of my best friends used to make a yearly trip to Scandinavia for research. The nature of the trip meant that he was always in Scandinavia for New Years. Every year he and his party were warned not to drive under the influence or they would be arrested and jailed without exception. Taxicabs didn’t charge a fare on New Years Eve. From classiccars.com a picture of a 1965 Pontiac GTO. 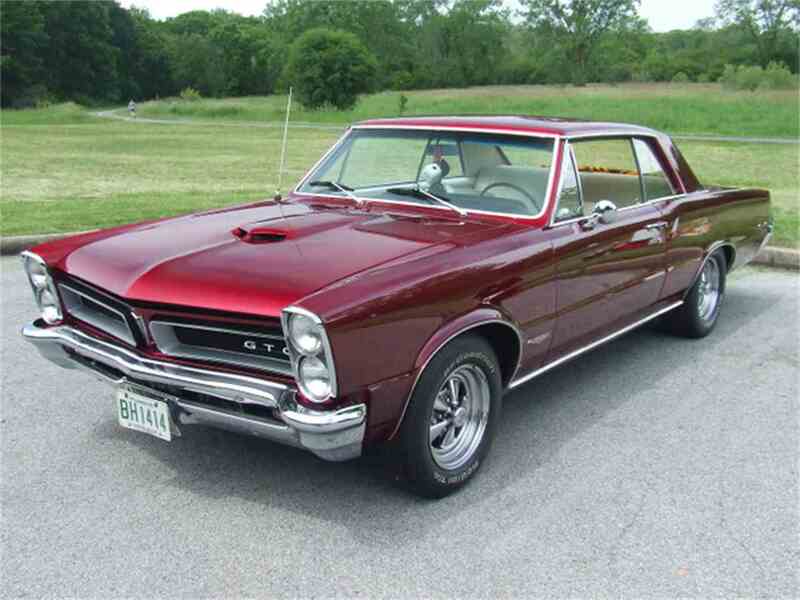 Regular readers know that my first car was a 1967 GTO, but may not know that I am also a big fan of the ’65. The car to which I am referring sold for $37,400 all in meaning the hammer price was $34,000. Sorry to sound ignorant, but does the claim of a “WT-suffix” engine mean that the car has the Tri-Power three-carburetor setup? The Tri-Power was available through the 1966 model year. In 1967, the heads were changed for better flow, displacement increased from 389 cubic inches to 400 and the Tri-Power was no longer available. Like the hashtag says: so many cars, just one life. Put Your F***in' Phone Away! Sadly I read this while driving. But I did have my auto pilot on and one hand on the wheel at all times which Tesla requires – I will put my phone down now. Eileen! Thanks for joining the conversation, but I hope you read this after you’re finished driving. I will not have one drink and drive. When I lived in DC, random sobriety checks would pop you for DUI not to mention DWI, which was 0.08. Also, losing a six figure income over a couple of G&Ts isn’t worth it. And now my IPhone makes it a PITA to use the phone while driving. Thanks. Still think America coddles its citizens.